me to take it home. I did. 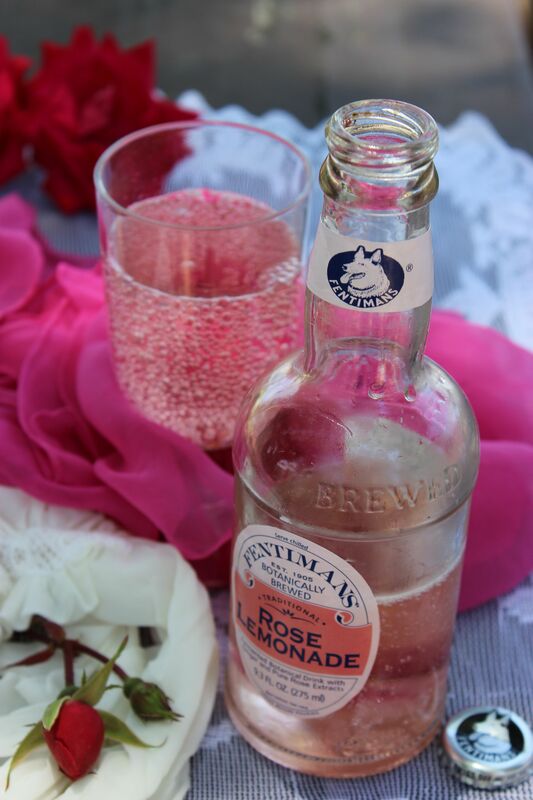 Fentimans got its start in England. There, in 1905, an iron miller named Thomas Fentiman loaned another worker some money with an old family recipe for ginger beer as collateral. The worker defaulted, so Fentiman kept the recipe and started a ginger beer brewery, storing the brew in stoneware jars emblazed with the likeness of his dog, Fearless. Nowadays, Fentimans comes to North America from Burnaby, British Columbia. Fearless still appears on the caps and the labels, which also instruct the drinker to “upend before pouring.” We did. What’s in it: lemon juice, water, sugar, glucose syrup, fermented ginger root extract, pear juice concentrate, natural lemon and orange flavorings, tartaric acid (maintains chemical stability in wine), grape skin extract (for color), Bulgarian rose oil. Aroma: Sweet, clean mild rose scent that’s so delicious, I dabbed a little of the soda on a few pulse points. Flavor: As it first hits the palate, ginger with sharp bubbles and a bit of tartness. The rambunctious bubbled tame down within minutes, allowing the glass to yield the light flavor of rose. Finish: Short, fast fade into only a hint of rose with a clean mouth feel. Pairings: This would be lovely served outdoors with plain shortbread or crustless cucumber tea sandwiches — and, of course, good conversation. Notes: Definitely drink this soda from a glass, not directly out of the bottle, both for the sheer elegance and to avoid picking up the flavor of the metal cap.